On Tuesday, 29 October, LG Electronics and Google officially presented the third result of cooperation of the two giants – Nexus 5X smart-phone, which is fitted with Google’s latest mobile OS Android 6.0 Marshmallow. 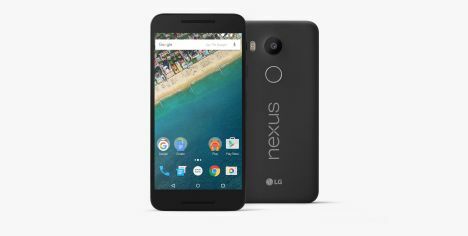 Nexus 5X has a 5.2 collas 423ppi Full HD IPS display with In-Cell Touch technology. This provides users faster response, better display resolution outside and sharper images. Qualcomm Snapdragon 808 processor provides optimal performance for any challenging task. Thanks to its fast Type-C USB port, ten minute recharge provides enough power for the battery to last up to four hours, promises the manufacturer. The smart-phone also has a 12.3 MP back and 5 MP front camera. The back camera’s 1.55µm sensor and 1.4µm front camera’s sensor absorb more light, creating brighter images. Nexus 5X can also make 4K and slow-motion videos. In addition, the manufacturer says Nexus 5X is safer than ever before. The new smart-phone model is even more convenient to use with Google Imprint sensor technology. One touch allows the user to block and unblock their Nexus 5X. Nexus 5X is now available for pre-orders in Google Store in USA, Canada, UK, Ireland, Korea and Japan. The new smart-phone will become available in other countries starting from 19 October.